Unlike navy frigates, the navy cruisers are upgraded versions of existing ships, rather than unique ships in their own right. Currently, navy frigates exist for the logistics cruisers (exequror, osprey, augoror and scythe) and the lower tier combat cruisers (vexor, caracal, omen and stabber). We'll refer to these as tier 1 and tier 2 respectively. Despite their hull choice, the tier 1 navy cruisers are not logistics ships - they are pure combat ships, and differ greatly from their t1 counterparts. The theme of these ships is speed - they have roughly similar performance to the primary t1 combat cruisers of each race, but with increased manoeuvrability. While the price tag on these ships is significantly lower than anything t2, they are only rarely seen in PVP. The tier 2 navy cruisers are quite different beasts. These ships receive a hefty boost to hitpoints across the board - their raw HP is significantly higher than that of even a heavy assault cruiser, although they lack the t2 resist profile of the latter ships. Compared to t1 cruisers, the tier 2 navy cruisers also field considerably higher damage outputs, have much improved fitting capabilities and many more slots with which to use it. In, performance, these ships fall somewhere between HACs and battlecruisers - they offer the speed, sig radius, and offensive capability of the former (albeit without the HACs' range bonuses) along with a tank and slot layout more like the latter. Despite it being slightly counterintuitive, I'm going to cover the tier 2 cruisers first. This is solely because they are by far the more used of the two. The stabber fleet issue is a powerful ship, mixing attributes of the vagabond with those of the hurricane. Like all stabber variants, it's a fast ship - not quite as fast as the stabber or vagabond, but significantly faster than most other cruisers. It's slot layout is 5/4/6 with 5 turrets - much like the hurricane minus a turret and the two spare high slots. However, it makes up for this in its drone bay - 40m3 of bay and bandwidth, the same as the cyclone. The big ace up the fleet stabber's sleeve however isn't any of these things - it's the bonuses. First of all the fleet stabber gets a rate of fire bonus - much like the stabber and nothing special. Secondly, it receives a 10% bonus per level to tracking. Autocannons already have very strong tracking, and a 50% bonus at cruiser Lv 5 makes the fleet stabber fearsome indeed. This is especially against small, fast ships, and any frigate pilot thinking of tackling a fleet stabber should exercise caution - look at the guns beforehand if you can, and if you see dual 180mms in particular be ready to adjust your orbit if you're taking more damage than you can handle. Like the hurricane, the fleet stabber can be either shield or armour tanked to great effect. Both fits almost always use autocannons rather than artillery. Unlike the vagabond, the fleet stabber receives no range bonus - this makes it less effective as a kiting ship, while its tracking bonus increases its effectiveness as a brawler. This combination of attributes means that the armour tanked fleet stabber is generally more popular than the shield tanked variant, with those who seek the speed of the latter usually opting for the vagabond instead. The shield variant is much like the equivalent hurricane fit - a two slot tank with a single tackle mod, an effective range of about 30km with barrage, and capable of about 2.5km/s. This kind of fit usually sports high calibre guns, although its tracking is still likely to be very strong. In terms of tank, a shield tanked fleet stabber is one of the more fragile faction cruisers at about 30k EHP, although this is still almost double what you'd find on a t1 stabber. The armour variant on the other hand is significantly tougher, with 50k EHP or better being easily achievable, and the effective range falls to around 10km with republic fleet or 15km with barrage. With four mid slots, the fleet stabber can fit many different mid slot combinations - most will flit a MWD, although many larger fleet fits include an afterburner and dual prop is also popular. At least one web is also a fairly reasonable guess, further complimenting the ship's tracking capability making it incredibly dangerous up close. Like all faction ships, the fleet stabber has a standard t1 resist profile. That means explosive > kinetic > thermal > EM for an armour tank (an explosive hardener is a possibility, but not all that common). On the shield tanked variant, expect an EM rig meaning thermal > EM > kinetic > explosive is the way to go. With a 6/3/7 slot layout and 5 turrets, the omen navy issue appears like a zealot at first glance except for an extra high slot and 25m3 of drone bay. The combination of these two allows the navy omen to overcome the zealot's biggest weakness - its lack of tackler defence. With a neut and a flight of light drones the navy omen is far less vulnerable when tackled solo than its heavy assault counterpart. Where the navy omen loses out to its t2 cousin is in the lack of an optimal range bonus (similar to the way in which the fleet stabber compares to the vagabond), as well as a reduction in powergrid which usually means carrying a lower calibre of guns than the equivalent zealot fit. The navy omen is far stronger in terms of raw HP and marginally in terms of EHP, although it lacks the enviable t2 resist profile of the zealot making it less suited to gang with logistics. Typically navy omen fits are very similar to those for the zealot - most of the time the ship will be armour tanked, with a 1600mm plate and pulse lasers (while it can fit beams, any smart pilot will choose the zealot for this purpose instead thanks to its optimal range bonus). Most navy omens fit a MWD, although afterburners are somtimes used (dual prop is rare due to powergrid concerns and a low mid slot count). A web is fairly common in the third mid too (which adds to the ship's anti-tackler capability) although some pilots will opt for a small cap booster instead to keep their guns firing in the face of cap warfare. Effective range on a pulse navy omen is around 10km with multifrequency, or 20km with scorch - quite a bit less than the zealot, but still more than enough for most scenarios. Like the zealot, it's also possible to fit the navy omen as a shield tanked kiting ship. That said, the zealot is a superior choice for this role due to its additional range and a moderate speed advantage, meaning the navy omen sees less use in this fashion. A shield navy omen generally mounts a very light shield tank (in the region of 20-30k EHP, compared to 60k on an armour variant) and plenty of damage mods. While it generally struggles to fit heavy pulses like the shield zealot, one thing the navy omen can do is mount a medium neut, allowing it some of the versatility that vagabond pilots often swear by. Despite all the parallels with the zealot, fighting a navy omen is more like fighting a harbinger in some respects - it's a ship with strong brawling capability as well as moderate range, and a stiff tank. Like the harbinger, it has neuting, drones, and potentially a web to deal with lighter targets. While the navy omen doesn't really have any special tricks up its sleeve, it's a very solid ship all round and it's difficult to identify a particular weakness with it. As with the fleet stabber, it really comes down to picking a ship which can out-perform it in one aspect, and attempting to bring a fight on your terms - hold range in a more flexible ship, or go toe to toe in something with more brawn and do what you can to burn it down. Due to the navy omen's high low slot count, an explosive hardener is fairly likely and a kinetic one is possible too. This makes kinetic or thermal generally the best damage type against it, followed by EM and then explosive (feel free to gamble on explosive if you don't believe the omen pilot if fitting active hardeners). Against the shield variant, the standard thermal > EM > kinetic > explosive is the way to go. If you thought the navy omen shared a lot of similarities with the zealot, the navy caracal is more than happy to continue the trend. It shares the exact same 6/5/4 slot layout as the cerberus, gaining a 6th launcher hardpoint and 15m3 of done bay and bandwidth. In exchange for this the navy caracal loses one of the cerb's two range bonuses and one of its rate of fire bonuses, leaving the overall damage output of the two ships relatively similar; the cerb has a significant range advantage, while the navy caracal generally has a slight edge in dps output. Unlike the previous two ships, the navy caracal reverses some of the usual trends we've seen comparing faction cruisers to the equivalent HACs; the cerb has the edge in terms of EHP, while the navy caracal comes out ahead and speed and fitting (although that extra fitting is more than consumed by the sixth launcher, leaving the caracal at a slight disadvantage in real terms). This reduction in fitting room makes it quite difficult for the navy caracal to exploit its potential dps advantage from the sixth launcher, with most standard fits roughly achieving parity with the cerb when they might otherwise outperform it. As with the cerberus, the navy caracal comes in both heavy missile and HAM variants - the heavy missile version has an effective range of a little over 120km (compared to the cerb's 190km), while a HAM fit reaches out to about 30km, or 35km with javelin (as opposed to 45-65km on the cerb). That said, it's rare that the cerb makes full use of its impressive range, so this is less of a handicap than it might initially seem. Both HML and HAM fits tend to be light in the tank department, with 20-30k EHP being the norm. Some tackle or ewar is fairly likely (usually just a point on an HML fit, or point and web on a HAM fit). Some navy caracal pilots may opt for (light) assault missiles in the same way as the regular caracal, focusing on anti-frigate combat. While the navy caracal significantly outperforms its t1 counterpart in this regard, it doesn't really have the tank and gank to reliably take on another combat cruiser head on with such a fit. In the end, the navy caracal is just a faster cerb with less range; it puts out strong and consistent dps to excellent ranges, but lacks the tank to slug it out against an equivalent ship and come out ahead. Catch a navy caracal at close range (particular an HML fit), and expect it to die to anything with strong gank and tank. Go for thermal > EM > kinetic > explosive, and keep your speed high if you're worried about taking damage yourself. Watch out for AML fits if you're flying something light, and be wary of being kited if in something heavy - the navy caracal isn't exactly fast, but it can out-pace and out-range most battlecruisers (it does a little over 1.5km/s). Following on from the example of the caracal, the navy vexor has a lot more in common with the ishtar than the myrmidon. 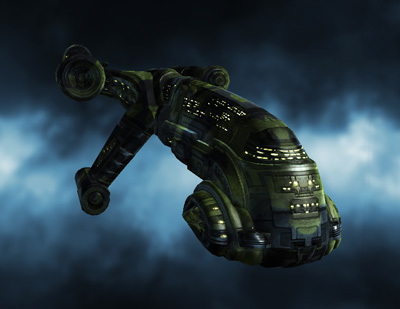 That said, the ship that the navy vexor most resembles is, believe it or not, the vexor. The vexor you'll remember employed a combined arms strategy - it was a very capable drone ship, but also put out a lot of gun damage to back that up. The ishtar departed from this quite noticeably - it's one of the few HACs to have a lower turret damage output than its t1 equivalent (it dropped one turret hardpoint, giving it only three turrets to the vexor's four). It did of course make up for this by being an exceptional drone boat, with the ability to field a whole flight of heavy drones and carry hoards in reserve. The navy vexor returns to its roots, abandoning much of the ishtar's drone capability in favour of the same combined arms approach used by the vexor. Over the vexor, the ishtar receives an extra two low slots for a 5/3/6 layout in total, a fifth turret hardpoint, and an extra 25m3 of drone bay and bandwidth, taking both up to 100m3. As a result of this the navy vexor is highly versatile, with both a stiff tank and exceptional damage output (by far the highest damage output of the navy cruiser line in fact) - it both out-tanks and out-damages the ishtar with most standard fits. What it loses compared to the ishtar is versatility. A navy vexor will almost always be armour tanked. While you can shield tank one just as well as you can a t1 vexor (and get some impressive gank out of it as a result), the ishtar with its 5 mid slots generally outperforms it in this regard, and few people are willing to fit a close-range faction cruiser with such a fragile tank. A moderate armour buffer or combined buffer and rep are both common options (a pure rep setup is less common than it is on the ishtar, due to the fewer mid slots available for cap boosting). Expect a MWD, scram and web in the three mid slots, as is standard with almost any blaster ship. In the high slots, you can expect medium blasters (which you may remember were something of a luxury on the t1 vexor unless it was fitting a pretty light tank). Some navy vexor pilots may drop one turret for a neut or nos (the latter more for repping setups), but it isn't standard practice. When it comes to drones, the maximum damage combination for a navy vexor is either four heavy drones, or three heavy and two light (the damage output is identical, while the former has a HP advantage and the latter a speed advantage). Four sentry drones is also an option, but tends to be less common due to the close range of the navy vexor's turrets. Some navy vexors, particularly solo, may carry a fight of light drones and reduce their max-dps option to the 2 heavy, 2 med, 1 light that the t1 vexor uses (since the navy vexor has the same drone bay as it does bandwidth, it can't make use of its full 100m3 while still carrying a spare flight). This brings me on to the main weakness of the navy vexor - roughly half of its dps comes from drones, and roughly half comes from turrets. While the combined total is noticeably stronger than that of the ishtar, either half of that damage output can potentially be removed from the equation. Obviously the navy vexor's blaster damage can only be brought to bear at close range - outside around 8km, that portion of its dps is effectively nullified. When it comes to drones, the navy vexor will often only carry a single fight - these can be killed (although they do receive a HP bonus which can make this difficult) or lost, nullifying that part of its damage output too. Additionally if the navy vexor isn't carrying the optimal drones to engage you (for example heavy and medium drones against a frigate sized target), it's damage output will be significantly reduced. These are far from being show stoppers, but they do present some limitations. Secondly, the lower mid slot count compared to the ishtar reduced the number of tricks that the navy vexor can store up its sleeve - where its HAC counterpart might fit dual prop, dual webs, cap boosting or ECCM, the navy vexor is fairly predictable with its MWD/scram/web combo. All that said, the navy vexor is a very dangerous opponent particularly at close quarters - when both its drones and blasters can be brought to bear, it has a stronger combination of dps and tank than almost any other cruiser; t1, t2 or faction (only the vigilant comes close to its raw damage output). Avoid engaging this ship at close range unless you're absolutely confident that you can come out ahead. Unlike the ishtar, killing the drones first is definitely a valid tactic against the navy vexor, especially if you're able to avoid its turret damage while you do so. This ship is a slightly more viable opponent for light ships than most other drone ships, due to its tendency to carry only heavy drones - try to gauge the drones it's carrying early on in the fight - it you see either of the max damage combinations mentioned above, it isn't going to be carrying any light drones in reserve. The navy vexor has a stiff tank, but generally less than the armour tanked fleet stabber or navy omen unless it drops to light guns (which it may well do). There's a moderate chance of an explosive hardener, meaning (thanks to native gallente kinetic resist), kinetic and thermal and likely to be tied for first preference, followed by EM and then explosive. Without an active hardener, explosive is the clear choice. The fleet scythe is a very fast ship - it's marginally slower than the t1 stabber (and thus faster than the fleet stabber by some margin), with excellent agility. The tier 1 navy cruisers don't get the same generous slot layouts as their t2 counterparts, with the fleet scythe carrying a 6/4/3 slot layout (giving it the advantage of an additional mid slot over the t1 stabber all told). Like the typhoon from which it seems to have drawn some inspiration, the fleet scythe gets a split weapon layout - three turrets and three launchers (both of which get a rate of fire bonus), and 25m3 of drone bay/bandwidth. The fleet scythe's fourth mid slot allows it to at least partially overcome the stabber's main weakness - a lack of tank. That said, the fleet scythe gains very little HP over the t1 scythe, starting with a base HP actually even lower than the stabber (and far far lower than any of the tier 2 navy cruisers). The resulting ship is still pretty fragile for a cruiser, regardless of tech level. Where it does gain very clearly over the stabber is in dps - it's no brawler like the fleet stabber, but with six single-bonused weapons and a small drone compliment, the fleet scythe puts out comparable dps to an armour tanked rupture, and a good 50% more than a standard stabber fit. With only three low slots, the fleet scythe will usually be shield tanked, with two extenders or an extender and an invuln being common choices. MWDs are a fairly popular choice, although this ship will still do over 1km/s with an afterburner. Dual prop is very unlikely, as is any ewar other than a single tackle mod. In terms of offence, expect the fleet scythe to wield autocannons along with any of the three cruiser-sized missile launchers and a flight of light drones. Unfortunately, these ships are too rare to really have a standard fit beyond that. When combating a fleet scythe, my recommendations are fairly similar to those I gave for the t1 version of the stabber - be wary of getting kited given the ship's high speed (as much as 4km/s with an overheated MWD), especially thanks to the range on the scythe's launchers. While this ship is a clear step up from the stabber, it lacks staying power and stands little chance going toe to toe against a brawling cruiser like the rupture; if you can catch this ship at close range you'll probably find it dies quite easily, although you should expect a greater challenge than the stabber thanks to its stronger tank and higher dps (not to mention drones). Given its standard resists, stick with thermal > EM > kinetic > explosive as your damage types of preference. Like its t1 variant, the navy augoror is a tough ship, receiving the same 10% per level bonus to armour HP. With a 5/3/7 slot layout along with 5 turrets and 15m3 worth of drones, this ship is far more capable in combat than its predecessor. Unlike the fleet scythe, the navy augoror does receive a large buff to its base HP when compared to its t1 counterpart. This combined with the additional low slots and powergrid allows the navy augoror to massively outshine even the maller when it comes to tank (with a pure bait fit carrying dual 1600mm plates, the navy augoror offers upwards of 140k EHP, compared to about 80k for the maller and 50k for the regular augoror). The potential of this ship doesn't end there however - like the maller, the navy augoror can be fit for respectable dps with either autocannons or pulse lasers. In fact thanks to its three light drones, the navy aug slightly outdamages the equivalent maller fit, while also being faster and significantly tougher. The only thing the maller has which the navy aug doesn't is a spare high slot, although as we discussed in the t1 cruiser article, maller pilots often leave this slot empty or at most fit it with a small neut. Ignoring comparisons to the maller for a second, let's talk about what the navy aug is capable of. Regardless of the fit, this is a tough ship - even on a relatively high dps fit with multiple damage mods, it's likely to out-tank most battlecruisers. The navy aug's HP bonus is really only useful for buffer tanks, and so you're unlikely to see this ship running an active tank, not is it going to be popular in logistics gangs. The damage output of the navy aug is moderate, but not high - most t1 cruisers will outdamage it, but do so while having only a fraction of its tank. The navy aug may be faster than the maller, but it isn't fast - marginally over 1km/s with a MWD is standard. While this ship isn't likely to have any cap warfare modules, a web along with either a point or a scram is a fairly safe bet. Where the fleet scythe clearly wasn't a brawler, the navy augoror definitely is. Its tank is strong enough that it's likely to come out ahead in most close range slugfests, although it lacks the range and manoeuvrability to really control an engagement - hold this ship at range or get under its guns, and it will be significantly less dangerous. As with any tank-focused ship, do not be surprised if the navy aug turns out to be bait or if your fight is interrupted by reinforcements or a third party before it is complete - you should pay close attention to your scanner and local for this reason. Avoid its damage as best you can, and that hefty buffer tank will eventually wear down. As with the navy omen, an explosive hardener is a reasonable assumption to make, and a kinetic hardener is a possibility (especially on a bait fit). Assuming a single explosive hardener, your preference should be kinetic followed by thermal, with EM and explosive both a fair bit higher. Unlike the regular osprey, the navy osprey is a missile ship with much more in common with the caracal. It offers a 4/5/3 slot layout (the same as the caracal, but moving a high to a low) and four launchers, supported by bonuses to rate of fire and missile range and the same 10m3 of drones that the caracal has. It's significant that the navy osprey has a rate of fire bonus, not a kinetic damage bonus. This means two things - firstly that its volley damage is slightly lower (which is inconsequential for the most part), and secondly that it does just as much damage regardless of missile choice - is isn't tied in to kinetic missiles like most other caldari ships. Like the fleet scythe, the navy osprey doesn't receive any substantial HP buff when compared to its t1 counterparts, instead getting a hefty bonus to speed (without any speed mods, the navy osprey clocks just under 2km/s, compared to 1.4km/s on the caracal). The navy osprey pays for this advantage by having one less launcher, although its additional low slot (which will generally be a ballistic control) actually puts it slightly in the lead in terms of damage output. That's really where the major differences end - the navy osprey is to all intents and purposes just a caracal with a massive speed increase. So for those of you who aren't intimately familiar with the caracal, what does this mean? How might it be fit? The navy osprey will almost always be shield tanked, although with heavy missile fits in particular (which require a sensor booster to take advantage of their full missile range) that tank isn't likely to be particularly strong - we're looking at something broadly similar to the fleet scythe. Heavy missiles are generally the most popular choice, and can hit out to around 125km for respectable damage. These fits will usually either kite (which the navy osprey is excellent at), or engage from long range while relying on another ship to provide tackle. (Light) assault missiles are also popular, with an effective range of around 40km (unlike the caracal, the navy osprey's range bonus is only to HMLs and HAMs). While the damage output on these is significantly lower, they deal excellent damage to frigate sized targets. Finally, a HAM fit is possible with an effective range of about 30km. HAMs don't tend to be used on caracals due to it running out of grid, but the navy osprey has fewer launchers to support. While I haven't really seen this used (as I mentioned, tier 1 navy cruisers are exceedingly rare), the extra speed of the navy osprey may well make a HAM fit both viable and quite dangerous, although given its soft tank I'd expect them to fly more like a kiting HAM fit (out somewhere near maximum point range) rather than a brawler - the navy osprey simply isnt suited to going toe to toe. Like the fleet scythe, the important thing to remember against a navy osprey is to close range and avoid being kited - this is a relatively fragile ship which will lose in a close range brawl. Get it tackled, keep your speed up (and MWD off) to reduce missile damage, and lay in the dps. If the navy osprey is engaging from long range, consider using a fast tackler or prober to get the drop, rather than burning towards it while taking fire the whole time. Don't underestimate this ship's damage output - it may be low, but its consistent, and it can select damage typed to hit your weakest resists. Speaking of which, basic resists are order of the day here, with the usual anti-EM rig being standard - thermal > EM > kinetic > explosive in that order. The navy exequror follows in the footsteps of the other tier 1 navy cruisers by being nothing like its t1 counterpart and instead being a close analogy to one of the races' other t1 cruisers - in this case the thorax. The navy exeq offers a 4/3/5 slot layout (i.e. a thorax minus a high slot), with four turrets and 20m3 worth of drones. At first glance, the navy exeq appears to be a clear loser compared to the thorax; the latter has both more turrets and more drones. However the navy exeq has two things going for it - it is significantly faster, and it has a double damage bonus. While the second damage bonus doesn't put the exeq ahead on dps, it closes the gap a lot - the navy exeq gets slightly more turret damage, while the thorax still wins hands down on drones. If the thorax were carrying two flights of light drones instead of a full flight of mediums, the two would be roughly even. The speed advantage of the navy exeq is where its real advantage lies - here is a high-dps blaster cruiser which can handily chase down most other cruisers (the main thing with which the thorax struggles). With an armour tank, the navy exeq comes out at over 1.6km/s compared to 1.1km/s on the thorax, while the shield variant clocks in at over 2km/s (compared to the thorax's 1.4km/s). Aside from these differences, the navy exceq is much like the thorax - it puts out excellent dps for a cruiser but at very close range, usually unable to hit much further than 8-10km with null. While the shield tanked variant is fairly fragile with a single slot tank, its dps output is even more fearsome. The armour variant is a little more conservative, with a moderate 30k EHP tank and strong damage. Expect it to fit a scram and MWD regardless of the fit, with a web filling the third mid slot on the armour variant. Like all blaster ships, the key to fighting the navy exeq is to keep range - hold outside blaster range, and it can't touch you. This can be easier said than done of course, thanks to its impressive speed. Should you find yourself in a close range brawl against one, do what you can to increase range whenever possible. Despite this ship's strong damage output, it is beatable - it's not actually any more powerful than the thorax, it's simply much better at closing the range. Avoid its damage where you can, and its tank won't hold out for too long. Specific hardeners are usually eschewed here in favour of damage mods, so explosive is your damage type of choice followed by kinetic and thermal tied for second, and EM last. Another great guide, I would mention though about the Stabber Fleet Issue that alot of people like to dual prop/dual rep fit theirs giving it a great active tank. Also that due to its small sig radius it can be difficult to track with even medium weapons, I have orbited a broadsword with 425s fitted at close range and he has missed most shots. One very important role for the fleet stabber is as a top-class bumper on undocks or in pos shields. Fit an oversized MWD to it and you can move even a supercapital a significant distance. Carriers on an undock are, done right, easy meat. Thanks for all these guides - well written and concise. I absolutely love this guide series. It is an invaluable asset to any player. Thank you very much! A bit of a miscommunication - what I meant was that a *shield* navy omen could fit a medium neut, whereas a zealot can't. Shield nomens can only get 20-30k EHP, the 60k figure was just to put that into context of what a comparable armour fit would have.